YouTube exploded with rebuttal videos after Jillian Michael's decided to rant (HERE) about the Keto Diet. I checked out quite a few, and hands down, this one is THE BEST. I appreciate Mike Mutzel, MS, from High Intensity Health, for clearing up Jillian's "botched facts". Here is the video - take a look and get the facts and science about the Ketogenic Diet. I am impressed with Mike's presentation - out of all the videos talking about Jillian's views on the Keto diet he has done the subject justice. Without attacking her he has pointed out that Jillian is not providing facts to support her views. I liked when Mike said, "She needs to freshen up on her nutritional biochemistry..." - and I agree. If this subject interests you I encourage you to check out High Intensity Health's YouTube Channel for more great videos. Welcome to Episode 4 of What's on your Book List. I'm a avid reader. Or, more to the point I'm an avid listener of audiobooks. Note: In this post I am listing the book title first, in caps, followed by the author's name and whether it's fiction (F), or non-fiction (NF). I do not write reviews - too many other places are doing that so feel free to google any of these titles for more info on them. Also, if I don't enjoy a book, I move on to the next one on my book shelf - I haven't the time to waste on poorly written, or boring books. What you see here are books I've read and thoroughly enjoyed. Here is the list of books I've listened to (and/or read) from June 17 - August 21. THE HAPPINESS EQUATION, Neil Pasricha (NF) *yes, listened to it again! GRAIN BRAIN, David Perlmutter, MD (NF) *listened again! WHEAT BELLY, William Davis, MD (NF) *listen again to this awesome book! There you have it, my reading (aka listening) list from June 17 to August 21. You'll see I do revisit books, particularly those pertaining to LCHF (low carb high fat). It's an area of interest and one I feel needs more exposure. Visit GUT INSTINCT - my LCHF blog, for my complete reading list. What the heck is a Limited Edition Collector Story Card? You've heard of Collector Cards, right? Pokémon cards? The Limited Edition Collector Story Card. I write Flash Fiction - but not just any old Flash Fiction - you know, Flash Fiction which needs to meet the not less than 500, not more than 1000 word count, needs to have a character arc, needs to have a beginning, middle and end - no, I'm not talking about that kind of Flash Fiction. I do something a little different - I write Photo Prompt Timed Flash Fiction, yeah, yeah, I know it's a mouthful, but hey I've never been known to nibble. I love writing these mini tales - some complete, some not; characters can be anything from human to insect, to vines, to viruses - oh yes, I have a virus doing a little storytelling. Over at TAKE FIVE I will be featuring, from time to time, one of my stories. I will also be featuring the next Story Card - out very soon. - Ask for one, provide mailing info and let's see if your luck holds. These cards are LIMITED - only 100 per story run. The first Story Card, 21 - Keeper of the Marsh Trees, is now up, drop by - take a look, and a read. Come on, admit it - you think it's a cool idea and wished you'd thought of it first. HA - too bad, too sad - got here first! Hehehehehe, wee bit of a smile crawling up the right side of my face as I think about how excited I was when I thought it up! I'm even more excited to see it come to fruition - so happy, so stoked. Join me on this fun little adventure! Let's see where it goes. Welcome to Episode 3 of What's on your Book List. Here is the list of books I've listened to (and/or read) from May 1 - June 14. There you have it - my reading list covering May 1 - June 14. Some books, like ZERO TO ONE, made my "Must Buy" list. Others, Like BROTOPIA got a second listen. Read them, enjoy them, then move on to the next good read. Share titles in the comments if you feel like it. I'm always open to reading a book that comes with a strong recommendation. If you missed Episode 1 click on the link to go there. Great authors and books await. This link will give you more info on the audiobook app I use, called Overdrive. I am a huge reader - or more accurately - a huge listener of audiobooks. I listen to between 4 and 6 books a week. That's right - A WEEK! These are my recommended reads - for story info/reviews visit Goodreads. Inspired by a true story. A great audiobook, the narration was very enjoyable. As a single parent I found myself getting very frustrated with the main characters, a useless mother and her pathetic husband. That said, I was curious enough to want to find out what happened to the two children in this story. Overall, I did enjoy this book. And, whether I like it or not, parents, like those portrayed in the novel, definitely do exist. There was something about the cover and title that made me read "more" and I'm glad I did. This was a very interesting read. Written as a fiction, but full of historical non-fiction facts. I ended up learning something about the leper colonies in the USA. Quite interesting. This is a book everyone should read - not only to recognize what's going on in other people's mind, but to take a hard look at our own personality - it's never too late to take stock. Believable characters, interesting plot - from start to finish this was a great audiobook. Lots of wonderful personalities woven in the story. Suspenseful and entertaining, compelling and funny. I was taken with the storyline and characters. Try living an authentic life at a time when one has little public privacy. Yup, that's why I'm not on Facebook! This was such a delightful read - loved the two couples, loved the heart and soul you could feel in the written word. As these characters bonded you could really feel their emotions. This is research reading - I've read Peter Pan more times than I can count. If you've never read it (on what planet do you live) then get with it! 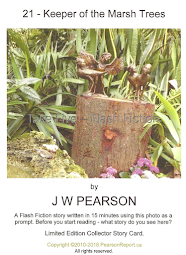 This is a collection of short fiction stories - read by the author. Some I really liked, others I confess I did fast forward. I'm a fan of Neil Gaiman so I wanted to give his short stories a perusal - overall worth picking up. A book many have read - quite frankly I think I read it long ago, but I so thoroughly enjoyed it this time. Please note - I am providing recommendations only, not reviews. My intention is to share books I've enjoyed. As for reviews there are lots of sites which do just that. Goodreads offers book reviews and information about the books - check out your local library as well. Welcome to "What's On Your Book List" - Episode 1. Last year I listened to over 200 books. WOW, even I'm impressed. I have decided to share my reading list here on Pearson Report. Well, I'm a huge fan of getting great book titles from other readers/listeners and felt you might enjoy a recommendation, or two hundred, from me as well. Reading or Listening - let's take a quick look at this first, shall we. I listen to audiobooks for the convenience it affords. When I'm cooking, tidying up, making my bed, dressing, doing laundry, ironing, and everything else my hands are preoccupied with I find having someone read to me is not only enjoyable - it's also highly entertaining. Yes, music is an option - but, as I wish to learn a little something on my journey through life, listening to books has become a great source of knowledge as well. Which brings me to what I read - Fiction and Non-Fiction alike. I always have a variety of books in the Bookshelf Folder of the reading app at any given time. Depending on my mood I will listen to all manner of interesting writings. I'm a fan of old English writers - and when I want comedic writing there's nothing like a book by P G Woodhouse to make me laugh. As you can see, I had a run on a few - needed to have some humour and quirkiness in my world. These hit the mark. Part of the enjoyment is listening to the character voices read so brilliantly by the readers. Speaking of finding things, when I saw the cover and read the Overview (provide with a book when searching the titles through the library) I knew I had found a great book. A must read. I never did read this in my school days. When I came across it I went for it - well, as we all know - it's excellent. If you have not had a chance to read Lord of the Flies now's a good time. Great storyline, well constructed characters, many twists and turns. Overall, I highly recommend Before the Fall. Whether reading it, or listening, it's a page-turner. All I can say about this book is WOW - I learned so much about the life of a slave in the late 1800s, early 1900's that I could not stop listening. At times my shock and revulsion at what was happening to the key characters was overwhelming. Yet, I was filled with awe and admiration for the way they endured and rose above the atrocities, even when the odds were stacked against them. This was such a well written book, the audiobook reader was amazing too. I finished this book yesterday - here's another outstanding author. The flow of this story was seamless, the characters and storyline so real, very believable - I had strong feelings for them and their struggles. How quickly a life can change, and when it's a young one that has no control of parental units, it has that much more power to shape our emotions. I thoroughly enjoyed this book. Again, if you're looking for a solid, well-written book this is a good find. Please note - I am providing recommendations only, not reviews. My intention is to share books I've enjoyed. As for reviews there are lots of sites which do just that. Goodreads offers book reviews - so does your local library. ENJOY listening to (or reading) some of these amazing books. Look for Episode 2 of "What's On Your Book List" in about two weeks. Feel free to share your favourite titles in the comments below - I'm always looking for a great read. Moving on... I had a good run with it, but now I'm done. Sometimes, the past needs to be left exactly where it landed - IN THE PAST. I really wanted to get back in the Blogging from A to Z Challenge saddle, alas it's just not happening. Well, it could be that I didn't stick to my original plan - which was put out the sequel to an earlier A to Z Challenge story. Or, more likely, it could be my A to Z days really are done, and trying to make it happen again is not in the cards. To those who entered on time, had their posts ready, and all that - high five. Seriously - I tip my cap to you all. My best A to Z entries, in my humble opinion, will always be the ones I winged. (2011 & 2013) Those were spontaneous and fun for me and for those that dropped by. You never knew what was coming. It was a blast. Me - when trying to plan posts. Anyway, I've deleted my entries - and now will revert back to blogging when the mood moves and when time permits.